My dad owned and operated a series of junkyards in the Bay Area when I was a kid. By the time I was old enough to read and write, I was marking sizes on used tires with a yellow marker, and I had to fire someone before I could drive. (Drive legally, that is.) The way I lead today is heavily influenced by the nitty-gritty realities I experienced back then. Even though my current office isn’t stained with grease and clouded with secondhand smoke, I still process decisions through that prism. Leadership happens in our messy world, not in an imaginary world of ideally sanitized conditions.In fact, if you’re not living in the real world, you might not actually be leading the way you think you are. With that in mind, here are five practical ways leaders—whether the workplace is squeaky clean or dingy and grimy—can follow Jesus today. 1. Work with the people already on your bus. You may know the maxim from leadership guru Jim Collins: “Get the right people on the bus.” Except sometimes that’s impossible. A combination of factors—scarcity of talent, budget restraints, even labor laws—means you can’t move people on and off your organizational “bus” at will. That’s true whether you employ four college students at a coffee shop or four hundred lineworkers at a manufacturing plant. Leading perfect people will never happen in the real world, but you can lead imperfect people well. Which is especially important because no leader is perfect either! As I say in Salvaged, I’d rather look at the people on my team, try to understand their strengths and weaknesses (and mine as well! ), and invest in their lives. This means more time spent serving colleagues and less time serving my organization—and that’s the point. Ten years from now, I should care less about the organization and more about whether the people God has placed in my life are thriving. Organizations need to keep the lights on, obviously. But think of the team Jesus had: Talk about a bunch of screwups! Yet his leadership—and the power of God’s Spirit—shaped them into something greater than the sum of their parts. 2. Being loving is better than being right. If you’re working with the people who are already on your bus, you need to be less concerned with winning arguments and more concerned with caring for others. The temptation to be right is powerful. But when being correct comes at the expense of relationships, it usually turns out poorly. What happens when you are right, but your insistence on proving it causes people to tune out . . . or worse? Instead, practice being vulnerable. 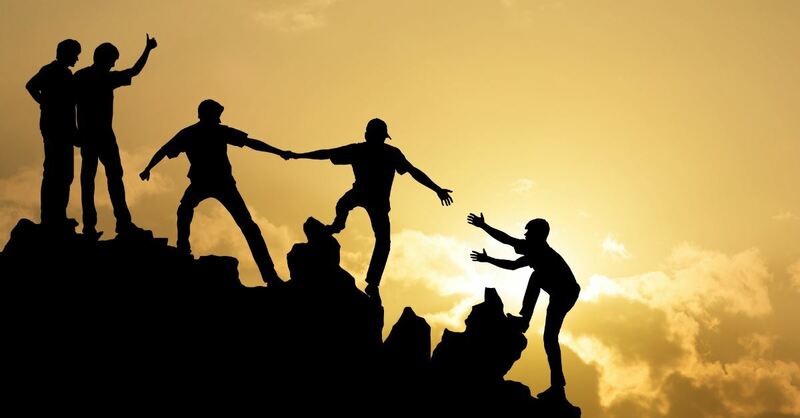 Help others on your team, yes, but also allow them to help you. Letting others know you don’t have it all together is actually a way to love them! They’ll appreciate that you’re not trying to appear perfect—but more than that, they’ll appreciate the chance to contribute in a meaningful way. Mark 9 tells the fascinating story of a father who asks Jesus to heal his son. When Jesus transitions the conversation to one of faith and belief, the father exclaims, “I believe; help my unbelief!” (verse 24, esv). There is a vulnerability here that we should all find inviting. 3. Honor coworkers in all places. Too often we confuse someone’s importance with their job title or occupation. That’s a mistake. Your entire team is important—and so are your team’s family members, your vendors, your customers, and so on. If you’re a teacher, do you know the names of all the custodial staff? If you manage a landscaping crew, do you know what community college classes your summer employees plan to take in the fall? If you work where delivery drivers often come and go, do you know the name of your UPS driver? Most leaders could use more friends in low places rather than in high places. And if you don’t believe me, read the story of Rahab in Joshua 2 and Joshua 6. 4. Real leaders aren’t afraid to follow. You’re trying to lead and care for your entire team, top to bottom, but who is leading you? The most effective leaders are also active followers. Whether you are an owner/operator of a small business, a pastor at a church, a stay-at-home spouse, or a writer tucked away in the corner of a coffee shop, you need people who are leading you into a stronger, healthier place. Finding people who are not enmeshed in your daily job responsibilities is key, because those are the people with enough perspective to love you, challenge you, and collaborate with you. That sort of relational give-and-take develops you, over time, into a better leader. Some call this the Paul-Barnabas-Timothy model: You need a Paul in your life to push you, a Barnabas to encourage you, and a Timothy whom you are pushing and encouraging. If what I’ve said so far is hitting home—if you want to be real enough to lead your whole team and be led yourself—then you’ll love this point: Acta Non Verba. Actions not words. That was the motto of my dad’s life, and I strive to make it mine as well. Following Jesus in the real world means your actions matter more than your words. Who influences you the most: those who talk, or those who do? I think of Millard Fuller’s quote “Every house is a sermon of God’s love.” Or as James puts it so eloquently, “I will show you my faith by my deeds” (James 2:18, NIV). What you do, 24-7, will always be more influential than what you say. So, aim to outwork your team. To out-serve, out-care, and out-love. You’ll fail—but that’s part of the plan! Because when you do fail, you’ll have the chance to be truly authentic and vulnerable as you lead your team. No doubt there are many more practical ways to follow Jesus as you lead—perhaps as many ways as there are different leaders! But all of us can try these five, and if we do, we’ll certainly see results. Let me know how it goes for you—seriously! I’d enjoy hearing from you at roy@junkyardwisdom.com. Thanks for reading. Now keep leading. After growing up helping his dad with the family junkyard, Roy Goble took over the family's real estate business. Since then he's continued to wrestle with the implications of following Jesus for business leaders and wealth creators. 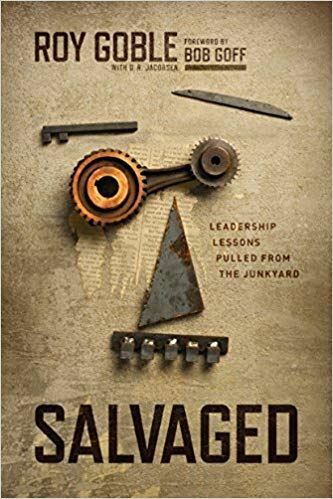 He is the CEO Of Goble Properties, the director of PathLight International, and the author of Junkyard Wisdom: Resisting the Whisper of Wealth in a World of Broken Parts and his newest upcoming release: Salvaged: Leadership Lessons Pulled from the Junkyard.